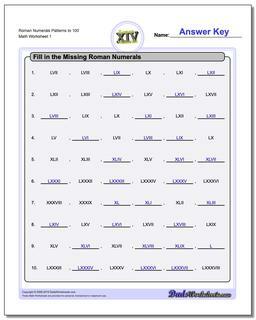 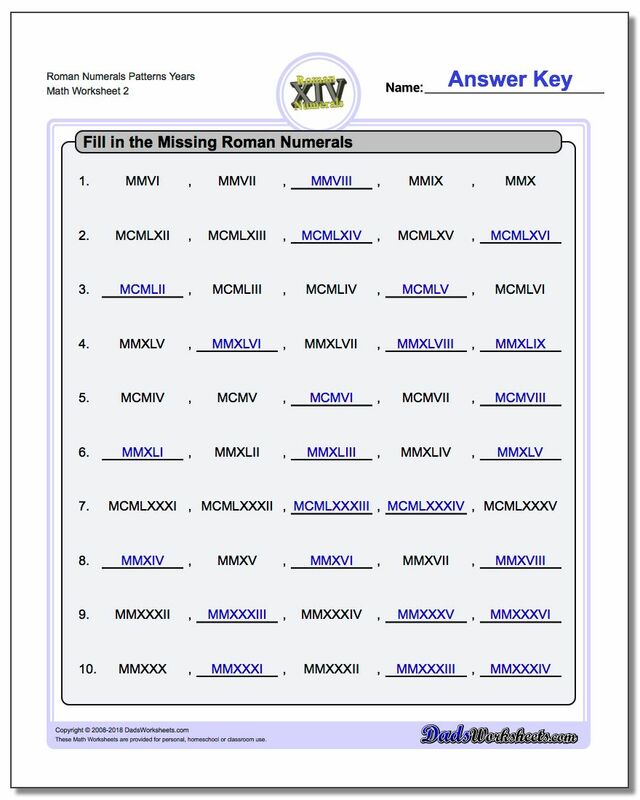 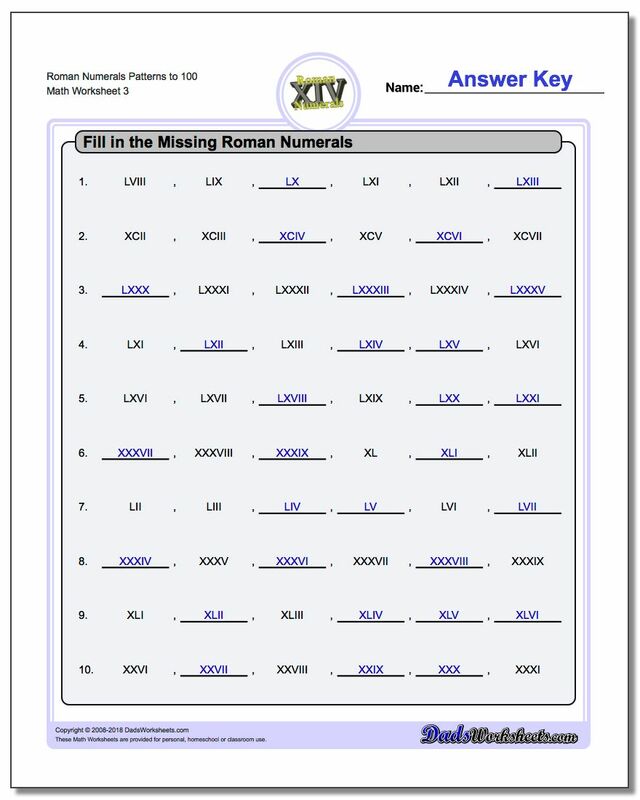 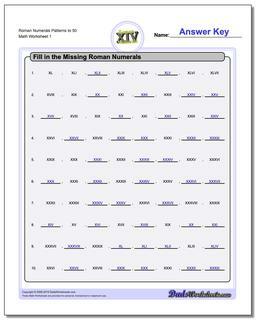 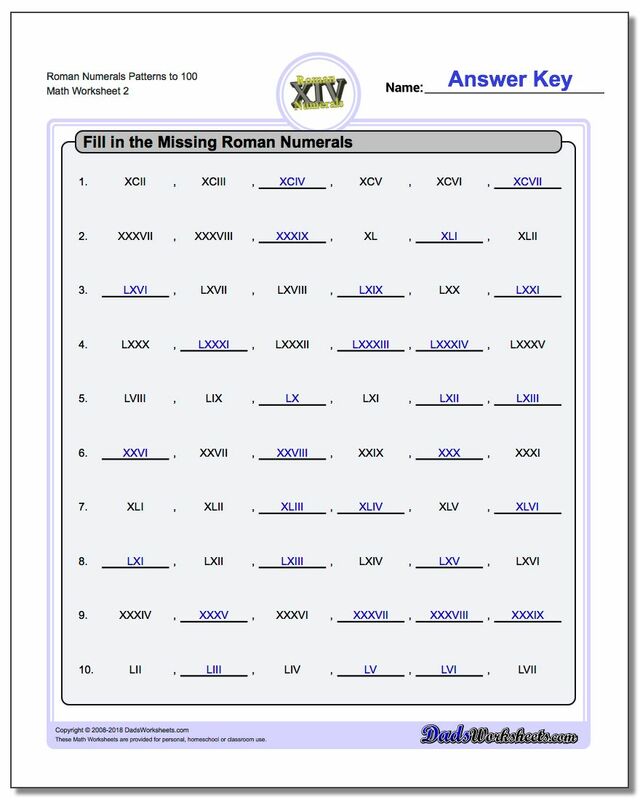 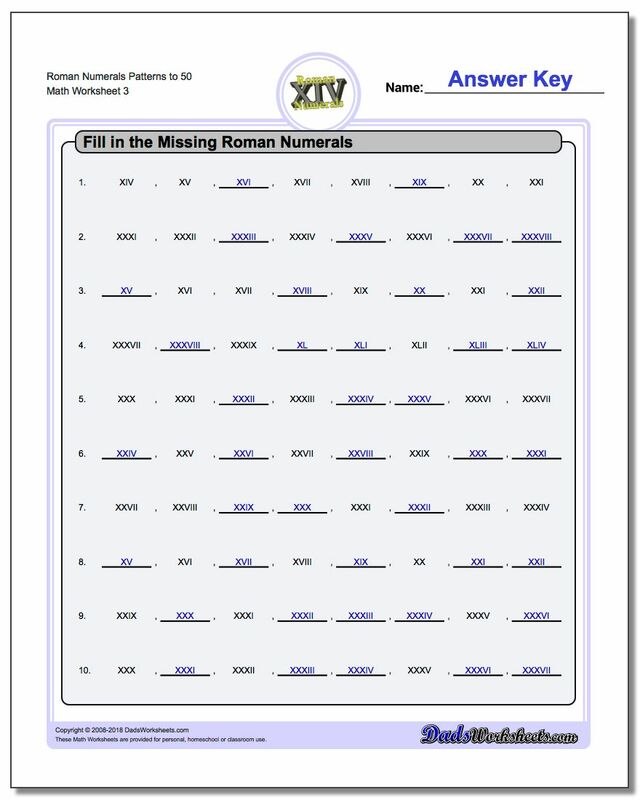 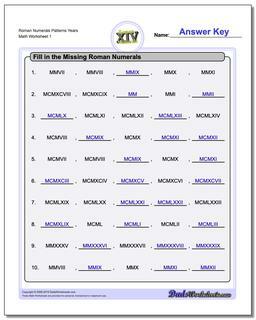 The roman numeral worksheets in this group require students to add the missing Roman Numerals in a sequence of values. This can be useful practice when first learning Roman numerals as it gives the student some content from the previous and following numbers to help them write the missing value. 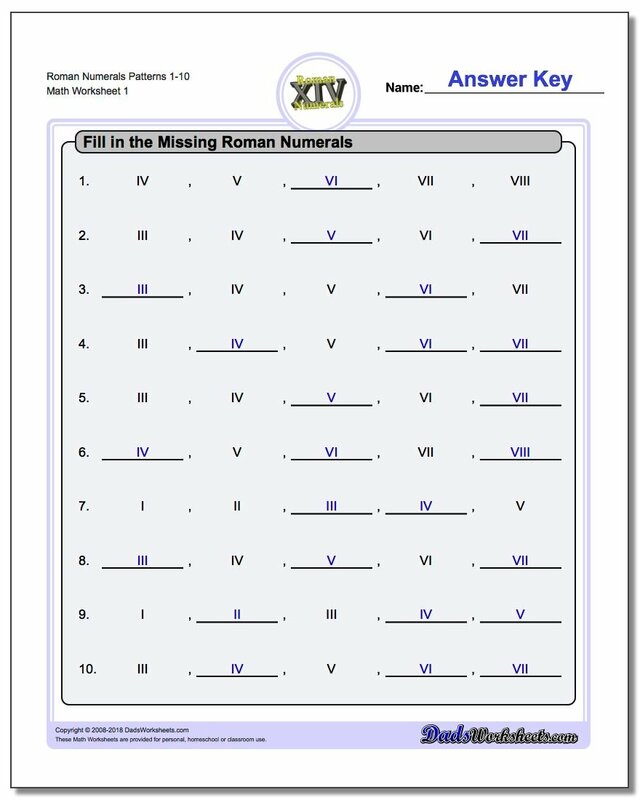 There are several other tools for learning to read and write Roman numerals available to help like this Roman Numeral Converter and these Roman Numerals Charts. These materials can be a good reference aide especially when first getting started reading Roman numerals.